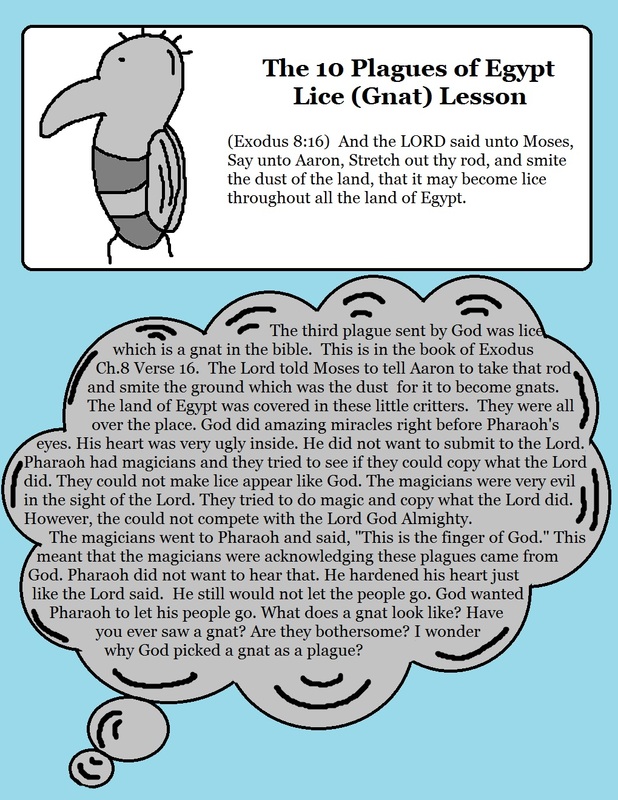 (Exodus 8:16) And the LORD said unto Moses, Say unto Aaron, Stretch out thy rod, and smite the dust of the land, that it may become lice throughout all the land of Egypt. This will make a great snack for Chidlren's Church or Sunday school class. This is so easy to throw together. 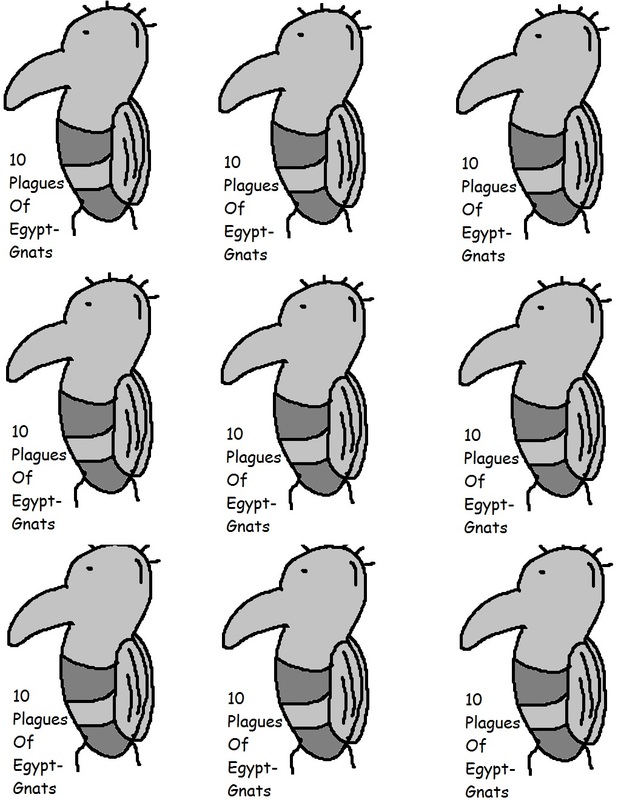 Use this snack when you are teaching about the The Plagues of Egypt Lice (Gnat) Lesson. The kids can associate the round circle cereal with the little annoying gnats that God sent as a plague on the land of Egypt. Pour some cereal into a cup. Print the Gnat Template and cut it out. Tape the gnat to a toothpick, then tape the toothpick to the back of cup.